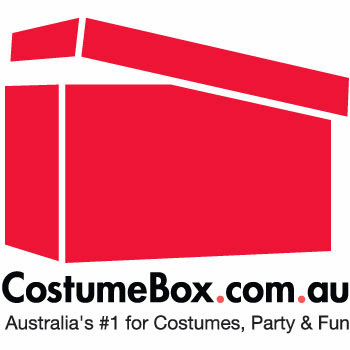 Whether you are dressing up for a ghoulish Halloween or getting in on your local Zombie Walk, we have put together a great selection of Zombie costumes from CostumeBox.com.au for women, men, and kids. And don't forget, if you are dressing up as the 'walking dead' go for a grey make-up theme that accents your blood-drained body. You've probably crawled out of the ground at some point, and feasted on a few bodies, so a torn and ragged look with fake blood stains will go a long way in giving you an authentic look. Zombie Walks, Flash Mobs, and Crawls have become hugely popular in major cities all over the world, with thousands of people coming together decked out in Zombie costumes - often marching for charity and creating some great photo opportunites and attention for a cause. Check out this comprehensive list of Zombie Walks taking place in your area. Get in the mood and find some inspiration for your Zombie themed event by taking in a Zombie flick. One of the most popular genres of scary movies, there are heaps to choose from... but we like about.com's list of Top 30 Zombie Movies, it has something for everyone on it and includes classics all the way back to the 1950s, as well as modern hits. Thanks for this new idea.Zombie costume is a best idea our my parties.